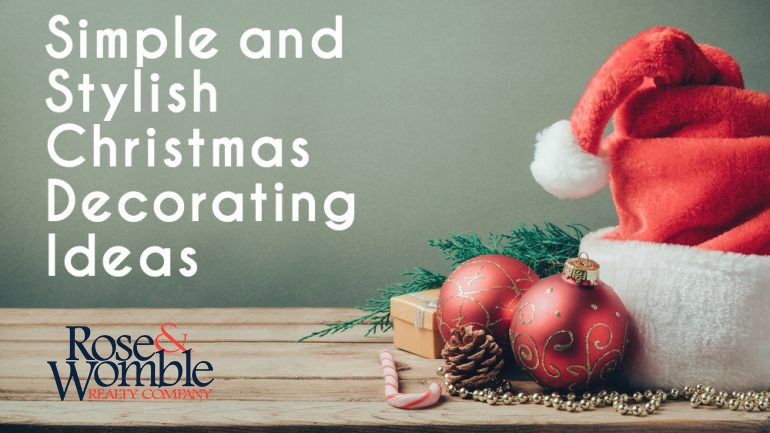 Stylish and Simple Christmas Decorating Ideas - Rose & Womble Realty Co.
Christmas time is fast approaching! Let us help you with your holiday decorating with some simple and stylish ideas below! Bring a colorful delight to the table with an arrangement of treats. 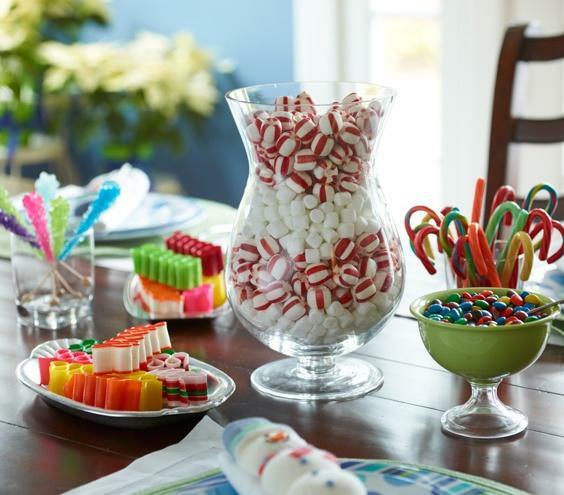 For the centerpiece, try an arrangement of red and white peppermint candy and marshmallows. Use ribbon candy and other multicolored treats for the sides. Play to your home’s unique style with holiday decor that compliments its most appealing qualities. The example above gives a mirror a border of decorative golden deer and white stockings to accentuate the white mantel. Keep your decorations simple. 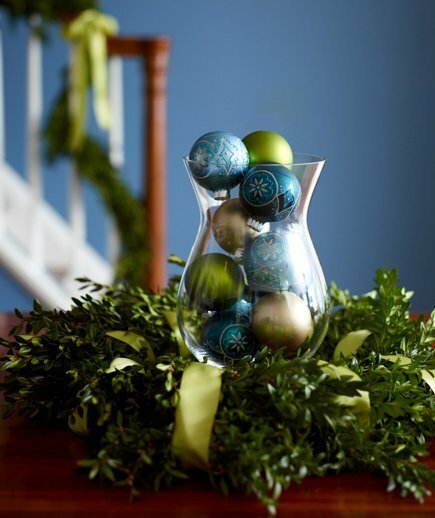 Fill a glass with an assortment of holiday ornaments and surround it with greenery. Check out this unique adaptation of the traditional Advent Calendar. 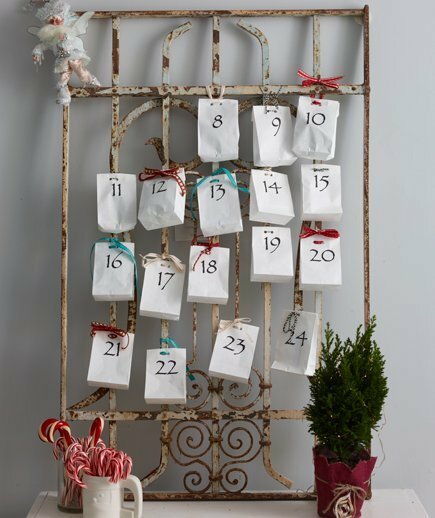 Replace a leaning mirror for the month of December and fill small numbered bags with your family’s favorite treats. 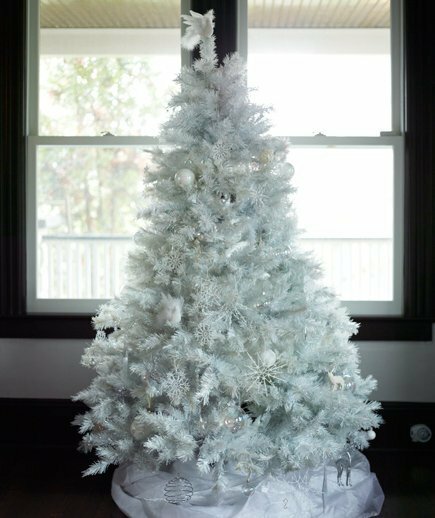 This brilliance of white is captured in a monochromatic tree that sets a festive tone. Use ornaments in clear glass, silvers and white to add to the “White Christmas” feel. Think outside of the box! 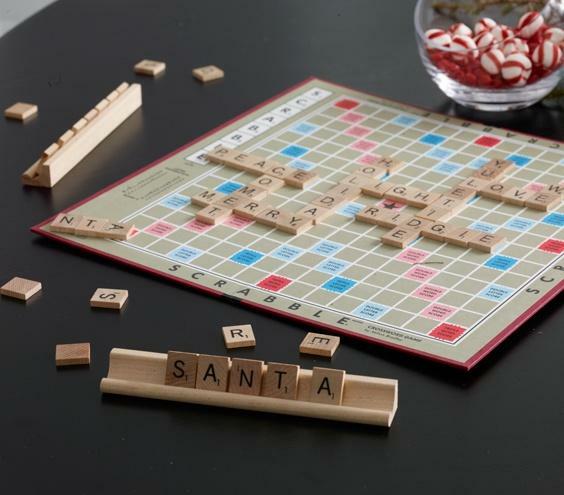 Turn game night into a unique holiday prop.